The 77th Academy Awards ceremony, presented by the Academy of Motion Picture Arts and Sciences (AMPAS), took place on February 27, 2005, at the Kodak Theatre in Hollywood, Los Angeles beginning at 5:30 p.m. PST / 8:30 p.m. EST. During the ceremony, AMPAS presented Academy Awards (commonly referred to as the Oscars) in 24 categories honoring films released in 2004. The ceremony, televised in the United States by ABC, was produced by Gil Cates and was directed by Louis J. Horvitz. Actor Chris Rock hosted the show for the first time. Two weeks earlier in a ceremony at The Ritz-Carlton Huntington Hotel & Spa in Pasadena, California held on February 12, the Academy Awards for Technical Achievement were presented by host Scarlett Johansson. The Aviator won the most awards of the night with five. Million Dollar Baby won four awards, including Best Picture. Other winners included The Incredibles, and Ray with two awards, and Born into Brothels, Eternal Sunshine of the Spotless Mind, Finding Neverland, Lemony Snicket's A Series of Unfortunate Events, Mighty Times: The Children's March, The Motorcycle Diaries, Ryan, The Sea Inside, Sideways, Spider-Man 2 and Wasp each with one. The telecast garnered over 42 million viewers in the United States. 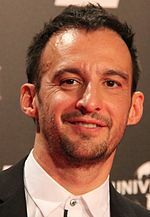 The nominees for the 77th Academy Awards were announced on January 25, 2005 at the Samuel Goldwyn Theater in Beverly Hills, California, by Frank Pierson, president of the Academy, and actor Adrien Brody. The Aviator received the most nominations with eleven; Finding Neverland and Million Dollar Baby tied for second with seven nominations each. The winners were announced during the awards ceremony on February 27, 2005. At age 74, Clint Eastwood became the oldest winner for Best Director in Oscar history. With his latest unsuccessful nomination for directing The Aviator, nominee Martin Scorsese joined Robert Altman, Clarence Brown, Alfred Hitchcock, and King Vidor as the most nominated individuals in the Best Director category without a single win at the time. Best Actor winner Jamie Foxx became the second actor and tenth individual overall to earn two acting nominations in the same year. By virtue of her portrayal of Katharine Hepburn, Best Supporting Actress winner Cate Blanchett was the first performer to portray a previous Oscar winner. "Al otro lado del río" from The Motorcycle Diaries became the second song with non-English lyrics to win Best Original Song. The first to achieve this feat was the titular song from the 1960 Greek film Never on Sunday at the 33rd Academy Awards. Sidney Lumet — In recognition of his brilliant services to screenwriters, performers and the art of the motion picture. Drew Barrymore Introducer of the performance of Best Original Song nominee "Look To Your Path (Vois Sur Ton Chemin)"
Mike Myers Introducer of the performance of Best Original Song nominee "Accidentally in Love"
Emmy Rossum Introducer of the performance of Best Original Song nominee "Learn to Be Lonely"
Salma Hayek Introducer of the performance of Best Original Song nominee "Al otro lado del río"
Sean Combs Introducer of the performance of Best Original Song nominee "Believe"
Opting for a younger face in an attempt to increase viewership, while renewing interest with the nominated films, producer Gil Cates selected actor and comedian Chris Rock to host the 2005 ceremony. Cates explained his decision to hire Rock for the telecast in a press release saying, "I am a huge fan of Chris Rock. He always makes me laugh and he always has something interesting to say. Chris represents the best of the new generation of comics. Having him host the Oscars is terrific. I can't wait." By virtue of his selection, Rock became the first African American man to solo host the gala. Nearly a month before the ceremony Rock told Josh Wolk of Entertainment Weekly, "Come on, it's a fashion show. No one performs; it's not like a music show. What straight black man sits there and watches the Oscars? Show me one." Political blogger Matt Drudge later reported that several anonymous AMPAS members wanted Rock fired from his hosting job as a result of the comments. 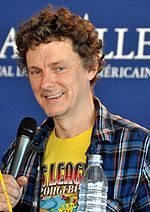 Nevertheless, producer Cates issued a statement defending the host saying, "Chris' comments are meant to be humorous digs at a show that some people, obviously including Chris himself, think may be a bit too stuffy." Furthermore, Wolk dismissed any controversy regarding Rock's comments and that Drudge exaggerated the host's comments. GLAAD Executive Director Joan Garry also issue a statement in light of the controversy stating, "Chris Rock isn't making fun of gays – he's poking fun at the Oscars." Rock appeared on The Tonight Show with Jay Leno the Monday before the ceremony to clarify his comments. When Leno asked about the statement, Rock replied "I did not say that. I said only gay people watch the Tonys." However, he reiterated, "I really don't know any straight men who aren't in show business that have ever watched the Oscars." Notable changes were made to give the ceremony a sleek, interactive look while shortening the length of the ceremony. Cates announced that in certain categories, all five nominees would be up onstage prior to the announcement of the award. In other instances, the actor or actress would present the award in the audience. In addition, production designer Roy Christopher designed an technologically ambitious stage for the telecast that both saluted the past while look toward the future. The set prominently featured 26 high-definition video monitors floating over the first twelve rows of the audience and a 40-foot LED screen situated beneath a layer of plexiglass on the stage floor. Both screens were used display images of previous Oscar appearances as presenters took the stage or random film clips during several commercial breaks. A gold rod featuring 23 different life-sized Oscar statuettes spiraling upward was placed at center stage. Several other people were involved with the production of the ceremony. Film composer and musician Bill Conti served as musical director of the ceremony. AMPAS graphics designer Brett Davidson designed the official ceremony poster consisting of a profile of the Oscar statuette in front of four neon-colored squares. Freelance producer Cochise and media firm Dig and Media Island released a trailer shown in movie theaters nationwide promoting the ceremony featuring clips from past Oscar ceremonies against the four squares backdrop in the aforementioned poster. The trailer featured the song "Hey Mama" by The Black Eyed Peas. Two-time Oscar-winning actor Dustin Hoffman narrated the opening montage highlighting the evolution of the movies. When the nominations were announced on January 25, the field of Best Picture nominees did not include a bona fide blockbuster at the U.S. box office. It was the first time since 1986 that none of the five films in that category were among the top ten releases in box office prior to the nominations announcement. Furthermore, before the ceremony, all five films sold the lowest cumulative number of tickets sold since 1984. Ray was the highest-grossing film among the Best Picture nominees with $73 million in domestic box office receipts. The film was followed by The Aviator ($58.4 million), Finding Neverland ($32.7 million), Sideways ($32.4 million), and finally Million Dollar Baby ($8.4 million). The combined gross of the five Best Picture nominees when the Oscars were announced was $205 million with an average gross of $41.3 million per film. Among the rest of the top 50 releases of 2004 in U.S. box office before the nominations, 44 nominations went to 14 films on the list. Only Shrek 2 (1st), The Incredibles (4th), Shark Tale (11th), Collateral (22nd), Ray (37th), and The Aviator (49th) were nominated for Best Picture, Best Animated Feature, directing, acting, or screenwriting. The other top 50 box office hits that earned the nominations were Spider-Man 2 (2nd), The Passion of the Christ (3rd), Harry Potter and the Prisoner of Azkaban (5th), The Polar Express (10th), I, Robot (12th), Troy (13th), Lemony Snicket's A Series of Unfortunate Events (18th), and The Village (20th). During his monologue, host Rock joked, "Clint Eastwood's a star, OK? Tobey Maguire's just a boy in tights," He also added, "You want Tom Cruise and all you can get is Jude Law? Wait. You want Russell Crowe and all you can get is Colin Farrell? Wait. Alexander is not Gladiator." In response, Sean Penn rebutted Rock's remarks praising Law as one of his generation's "finest actors". Over a year later, Law expressed his anger toward Rock in The New York Times telling columnist Craig Modderno, "At first I laughed because I didn't think he knew who I was. Then I got angry as his remarks became personal. My friends were livid. It's unfortunate I had five or six films come out at the same time." Robin Williams initially wanted to sing a humorous song written by Marc Shaiman and Scott Wittman during the presentation of the Best Animated Feature award satirizing the controversy regarding Focus on the Family and a music video sponsored by We Are Family Foundation featuring animated characters such as SpongeBob SquarePants singing the song "We Are Family". The song contained lyrics such as "Pinocchio's had his nose done! Sleeping Beauty is popping pills!/ The Three Little Pigs ain't kosher! Betty Boop works Beverly Hills!" However, Cates and ABC officials deemed the song overly vulgar and offensive for the telecast and was dropped altogether after writers Shaiman and Wittman had trouble rewriting more appropriate lyrics. Williams eventually presented the Best Animated Feature award as scheduled, but silently mocked the debacle by entering the stage with duct tape over his mouth before speaking. The show received a mixed reception from media publications. Some media outlets were more critical of the show and Rock's performance as host. 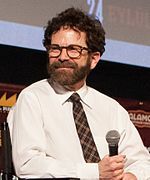 USA Today television critic Robert Bianco wrote, "Loud, snide and dismissive, he wasn't just a disappointment; he ranks up there with the worst hosts ever." He also called the decision to have several nominees of several technical categories stand on stage embarrassing and disrespectful. Columnist Robert. P. Lawrence of the San Diego Union Tribune commented, "It was a frustratingly average, three-hour-12-minute exhibition of mutual admiration in the inimitable Hollywood style." He later said that despite Rock's edgy and provocative opening, his humor and energy diminished as the night wore on. Vince Horiuchi of The Salt Lake Tribune wrote of Rock's performance, "He was bound by stale jokes (none of the winners "tested positive for steroids"), a rigid opening monologue (he didn't even make reference to his prior controversial comments about the Oscars), and tired comedy bits (Rock playing like Catherine Zeta-Jones with Adam Sandler)." He also described the cast and production of the ceremony as "moribund" and "clumsy". Other media outlets received the broadcast more positively. Film critic Roger Ebert noted that Rock "opened on a high-energy quick-talking note" He also added, "Chris Rock hit a home run with his opening monologue, which was surprisingly pointed, topical, and not shy of controversy." Television critic Frazier Moore commented that Rock's performance was a "needed pick-me-up, presiding over the broadcast with saucy finesse." He added, "In sum, the broadcast felt brisk, though not rushed. It felt modern and refreshingly free of chronic self-importance." Brian Lowry of Variety gave an average review of Rock but remarked, "For all the hand-wringing about the awards descending into the muck, the 77th Academy Awards proved a classy affair, with precious little red meat to satiate Hollywood bashers." The American telecast on ABC drew an average of 42.14 million people over its length, which was a 3% decrease from the previous year's ceremony. The show also drew lower Nielsen ratings compared to the two previous ceremonies with 25.4 of households watching over a 38 share. It also drew a lower 18–49 demo rating with a 15.1 rating over a 34 share among viewers in that demographic. The annual In Memoriam tribute was presented by actress Annette Bening. Musician Yo-Yo Ma performed during the segment. A special tribute to five-time host Johnny Carson was presented by host Chris Rock with previous emcee Whoopi Goldberg discussing Carson's legacy to television and the Academy Awards in the segment. Later in the broadcast, Best Actor winner Jamie Foxx briefly eulogized singer and musician Ray Charles, who died in June 2004, during his acceptance speech. ^ "Oscar Watch: 'Countdown' casting". Variety. PMC. February 15, 2005. Archived from the original on August 12, 2014. Retrieved September 18, 2013. ^ a b Lowry, Brian (February 27, 2005). "Review: 'The 77th Annual Academy Awards'". Variety. PMC. Archived from the original on August 12, 2014. Retrieved July 30, 2014. ^ Feiwell, Jill (October 11, 2004). "Familiar face in Oscar seat". Variety. PMC. Archived from the original on August 12, 2014. Retrieved July 30, 2014. ^ Feiwell, Jill (December 4, 2004). "Horvitz helms Oscars again". Variety. PMC. Archived from the original on August 12, 2014. Retrieved July 30, 2014. ^ a b LaPorte, Nicole (October 14, 2004). "Oscar Rocks". Variety. PMC. Archived from the original on August 12, 2014. Retrieved July 30, 2014. ^ Slezak, Michael (January 24, 2005). "Scarlett Fever". Entertainment Weekly. Time Warner. Archived from the original on August 8, 2014. Retrieved July 30, 2014. ^ Germain, David (February 28, 2005). "Oscar 'Baby'". The Florida Times-Union. Morris Communications. Archived from the original on August 8, 2014. Retrieved September 18, 2013. ^ "Oscar Watch: Brody on board for noms". Variety. PMC. January 18, 2005. Archived from the original on August 12, 2014. Retrieved July 30, 2014. ^ Wloszczyna, Susan (January 25, 2005). "'Aviator' lands 11 Oscar nominations". USA Today. Gannett Company. Archived from the original on August 8, 2014. Retrieved July 30, 2014. ^ Waxman, Sharon (February 28, 2005). "'Million Dollar Baby' Dominates Oscars". The New York Times. The New York Times Company. Archived from the original on February 5, 2015. Retrieved July 30, 2014. ^ Gray, Tim (February 27, 2005). "Oscar's fistful of 'Dollar'". Variety. PMC. Archived from the original on August 12, 2014. Retrieved July 30, 2014. ^ "The 77th Academy Awards (2005) Nominees and Winners". Academy of Motion Picture Arts and Sciences (AMPAS). Archived from the original on January 1, 2016. Retrieved January 25, 2015. ^ Purtell, Tim (January 31, 2005). "Honorary Oscar Sidney Lumet". Entertainment Weekly. Time Warner. Archived from the original on August 8, 2014. Retrieved July 30, 2014. ^ Chang, Justin (December 16, 2004). "Oscar to honor Mayer". Variety. PMC. Archived from the original on August 12, 2014. Retrieved July 30, 2014. ^ Gibb, Megan (February 28, 2005). "Oscars commentary: And the Oscar goes to..." The New Zealand Herald. New Zealand Media and Entertainment. Retrieved February 6, 2015. ^ a b Burlingame, Jon (February 28, 2005). "Muzyka do Filmu...Música de Cine..." Film Music Society. Archived from the original on October 1, 2006. Retrieved July 30, 2014. ^ a b Chaney, Jen (February 27, 2005). "Oscars Live". The Washington Post. The Washington Post Company. Archived from the original on October 11, 2014. Retrieved July 31, 2014. ^ "Award Watch Live: Oscar Night 2005". Warner Bros. Television. Archived from the original on February 8, 2015. Retrieved February 6, 2015. ^ "Chris Rock to Host Oscars". Fox News. 21st Century Fox. October 14, 2004. Archived from the original on 2014-08-12. Retrieved July 30, 2014. ^ McNamara, Mary (February 27, 2005). "Rock On". Los Angeles Times. Tribune Company. Archived from the original on August 12, 2014. Retrieved July 14, 2014. ^ Wolk, Josh (February 1, 2005). "The Oscars Get Rock-ed". Entertainment Weekly. Time Warner. Archived from the original on April 21, 2009. Retrieved August 1, 2014. ^ Grossberg, Josh (February 15, 2005). "Rock Roiling Oscars". E!. NBCUniversal. Archived from the original on August 11, 2014. Retrieved August 1, 2014. ^ "Producer supports Chris Rock as show's host". The Augusta Chronicle. Morris Communications. February 16, 2005. Archived from the original on 2014-08-08. Retrieved August 1, 2014. ^ Wolk, Josh (February 18, 2005). "Rock and Roll". Entertainment Weekly. Time Warner. Archived from the original on April 12, 2010. Retrieved August 1, 2014. ^ Britt, Donna (February 18, 2005). "Drudge Takes the Oscar for 'Clueless'". The Washington Post. The Washington Post Company. Archived from the original on February 5, 2015. Retrieved June 14, 2014. ^ Moloshok, Danny (February 22, 2005). "Chris Rock clarifies Oscar comments". USA Today. Gannett Company. Archived from the original on August 8, 2014. Retrieved August 1, 2014. ^ Schodolski, Vincent J. (February 17, 2005). "Hipper, shorter, edgier Oscars: Ceremony undergoes nips/tucks". Chicago Tribune. Tribune Company. Archived from the original on August 8, 2014. Retrieved August 1, 2014. ^ Keller, Julie (February 8, 2005). "Oscars Timely Makeover". E!. NBCUniversal. Archived from the original on August 11, 2014. Retrieved September 18, 2014. ^ "Oscar set will blur line between performers, audience". The Augusta Chronicle. Morris Communications. February 17, 2005. Archived from the original on 2014-08-08. Retrieved July 14, 2014. ^ "Oscars take on an interactive feel". NBC News. NBCUniversal. February 17, 2005. Archived from the original on August 8, 2014. Retrieved July 14, 2014. ^ Bowles, Scott (February 17, 2005). "Look up and look out: Academy Awards get ready to rock". USA Today. Gannett Company. Archived from the original on February 7, 2015. Retrieved September 11, 2013. ^ Thompson, Jenn (December 14, 2004). "Oscarcast vets return". Variety. PMC. Archived from the original on August 12, 2014. Retrieved July 30, 2014. ^ Feiwell, Jill (November 16, 2004). "Acad drawn to staffer's design". Variety. PMC. Archived from the original on August 12, 2014. Retrieved July 31, 2014. ^ Chang, Justin (January 16, 2005). "Oscars hitched to trailer". Variety. PMC. Archived from the original on August 12, 2014. Retrieved July 31, 2014. ^ Gray, Brandon (January 31, 2014). "'Aviator,' 'Million Dollar Baby' Get Best Picture Boost". Box Office Mojo. Amazon.com. Archived from the original on July 15, 2014. Retrieved July 31, 2014. ^ "Ticket sales are slow for best-picture nominees". The August Chronicle. Morris Communications. February 17, 2005. Archived from the original on 2014-08-08. Retrieved July 31, 2014. ^ a b "2004 Academy Award Nominations and Winner for Best Picture". Box Office Mojo. Amazon.com. Archived from the original on August 9, 2013. Retrieved July 14, 2013. ^ a b "2004 Yearly Box Office Results (January 24, 2005)". Box Office Mojo. Amazon.com. Archived from the original on August 8, 2014. Retrieved July 14, 2014. ^ "Host Chris Rock comes out swinging". NBC News. NBC Universal. February 28, 2005. Archived from the original on February 12, 2015. Retrieved August 1, 2014. ^ Modderno, Craig (September 3, 2006). "Jude Law Is an Actor in Demand". The New York Times. The New York Times Company. Archived from the original on February 12, 2015. Retrieved August 1, 2014. ^ Shaiman, Marc (March 7, 2005). "Robin Williams' Oscar Gag". Entertainment Weekly. Time Warner. Archived from the original on August 8, 2014. Retrieved August 1, 2014. ^ Halbfinger, David M. (February 27, 2005). "Cut From the Oscars: Cartoon Characters' Sins". The New York Times. The New York Times Company. Archived from the original on August 11, 2014. Retrieved August 1, 2014. ^ Wloszczyna, Susan (March 7, 2005). "Williams will be heard but not seen". USA Today. Gannett Company. Archived from the original on August 8, 2014. Retrieved August 1, 2014. ^ Bianco, Robert (February 28, 2005). "Alas, format did not do Oscar proud". USA Today. Gannett Company. Archived from the original on August 8, 2014. Retrieved July 14, 2014. ^ Lawrence, Robert P. (February 28, 2005). "Even Chris Rock came off as tepid and tame at the Oscars". San Diego Union Tribune. Tribune Publishing. Archived from the original on August 8, 2014. Retrieved July 31, 2014. ^ Horiuchi, Vincent (February 28, 2005). "If they give Oscars for boring, this year's broadcast wins big". The Salt Lake Tribune. MediaNew Group. p. C7. ^ Ebert, Roger (February 27, 2005). "'Baby' Stages Late-Round Oscar Rally". Chicago Sun-Times. Sun-Times Media Group. Archived from the original on August 11, 2014. Retrieved July 31, 2014. ^ Moore, Frazier (March 1, 2005). "Breezy pace scores a win for the Oscars". Times Union. Hearst Corporation. Associated Press. Archived from the original on August 6, 2014. Retrieved July 31, 2014. ^ a b c Kiseell, Rick (March 2, 2005). "Fox, 'Idol' find sweeps groove". Variety. PMC. Archived from the original on August 12, 2014. Retrieved July 30, 2014. ^ Atkinson, Claire (March 1, 2005). "Final Oscar Ratings Contradict Early Reports". Advertising Age. Crain Communications. Archived from the original on February 5, 2015. Retrieved February 6, 2015. ^ Sutherland, Ben (February 28, 2005). "Rock sparkles on Oscar debut". BBC News. BBC. Archived from the original on December 11, 2013. Retrieved December 26, 2013. 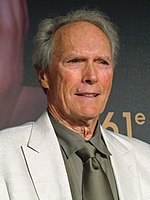 ^ "Eastwood's Baby scoops top Oscars". BBC News. BBC. February 28, 2005. Archived from the original on July 5, 2014. Retrieved July 31, 2014. Crouse, Richard (2005). Reel Winners: Movie Award Trivia. Toronto, Canada: University of Toronto Press. ISBN 1-55002-574-0. Todd, Anne M. (2008). Jamie Foxx. New York, United States: Chelsea House Publishers. ISBN 978-1-60413-000-3. Terrance, Vincent (2013). Television Specials: 5,336 Entertainment Programs, 1936–2012 (2nd ed.). Jefferson, North Carolina, United States: McFarland & Company. ISBN 978-0-7864-7444-8.